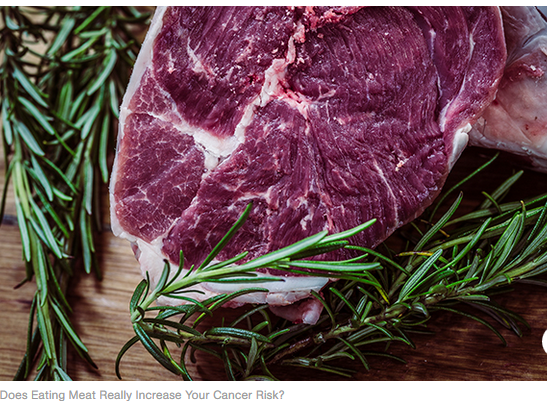 » Uncategories » Does Eating Meat Really Increase Your Cancer Risk? Does Eating Meat Really Increase Your Cancer Risk? The International Agency for Research on Cancer (IARC), an arm of the World Health Organisation (WHO). 2. Is The Science Legit? Sadly for boerie-roll addicts everywhere, this wasn’t one of those overgeneralised, bogus-science reports – as in the kind that claims nine of ten women in Cape Town want to live alone with cats, based on a sample of 10 SPCA volunteers. Researchers examined the results of 800 studies from 22 experts from 10 countries. 3. And What Did They Find? For every 50g of processed Meat you eat per day, your risk of getting colorectal (colon and rectal) cancer goes up by 18 percent! The classification of processed meat falls into the same category as alcohol, tobacco smoke, asbestos and HIV. However, it is important to note that all of these agents, whilst in the same group, do not all share the same level of hazard. 4. Are We Talking All Meat? The IARC evaluated two types of meat: processed – anything that’s been salted, cured, fermented, smoked or contains preservatives (e.g. Cold meats, bacon, Vienna sausages, boerewors) and red meat (beef, lamb, pork, veal, mutton, horse and goat). So, which is the bad one? It’s not looking good for either of them. IARC found that meat processing (like curing or smoking) can result in the creation of carcinogenic chemicals. Preservatives contain chemicals, known as nitrates, that are added to some processed meats and have been shown in some studies to produce N-nitrosamines during cooking – molecules that cause cancer. Pan-frying, grilling, or braaing meat also produce high levels of carcinogenic chemicals. 5. Should You Stop Eating Meat? Experts advise that you moderate your intake of meat but going cold turkey eating is a personal choice. Meat is a good source for protein, has essential amino acids, is rich in iron and zinc, and contains vitamins A, B and D. On the other hand, processed and red meat is relatively high in saturated fat and cholesterol, which are linked to increased risk of heart disease. It’s also a big source of controversy as far as global warming is concerned, but that’s another story. A balanced diet combined with fruits, vegetables and fibre and regular exercising is the goal for a healthy life. In fact, loading up on veggies and fish may help ward off colon cancer. In a study published in the former Archives of Internal Medicine researchers found that pescetarians (fish-eating vegetarians) have a 43 percent lower incidence of colorectal cancer than meat eaters. In males, the chance of developing colorectal cancer is one in 114 and one in 182 for females. In short, your overall chances of getting colorectal cancer are 5%. And Vox.com points out that eating meat every day will up your overall risk by one percent, making it 6%. Title : Does Eating Meat Really Increase Your Cancer Risk? 0 Response to "Does Eating Meat Really Increase Your Cancer Risk?"